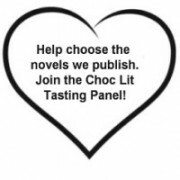 Another fabulous Choc Lit Love Match – delicious selection of romantic short stories with sumptuous recipes to match, from the Choc Lit authors. Currently available as a Kindle eBook. This anthology by eighteen authors at a British publishing house has a winning title and comes packed with excitement and recipes. Yes, in KISSES AND CUPCAKES you can get double value for your money. Every short story has a recipe attached. Let’s get started and see if it’s possible to pick a favourite. …Make the most of your time and rediscover your baking skills. Crafting great cakes is easier than you think and you will just have time to savour a story or two before they’re ready to come out of the oven. Reviewed by Clare at Fresh Fiction. In this light hearted anthology you will find eighteen short stories that all contain a common thread – love and baking. With stories ranging from falling in love with a colleague when it is strictly against the rules, to losing the person you have loved the most, and trying to move on, this anthology has got it covered. …KISSES AND CUPCAKES ANTHOLOGY by Choc Lit Authors is a lovely anthology to dip into when the mood strikes, as the stories are very short. 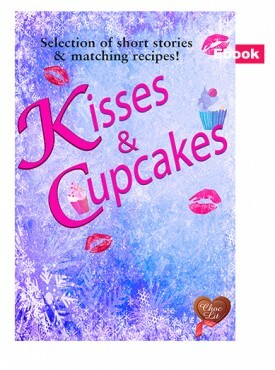 So when you need a little romance or have a craving for something sweet to eat, then KISSES AND CUPCAKES ANTHOLOGY by Choc Lit Authors is sure to have something to suit you.